Anu Penttinen is a freelance designer and glassmaker who designs for Iittala and Marimekko. 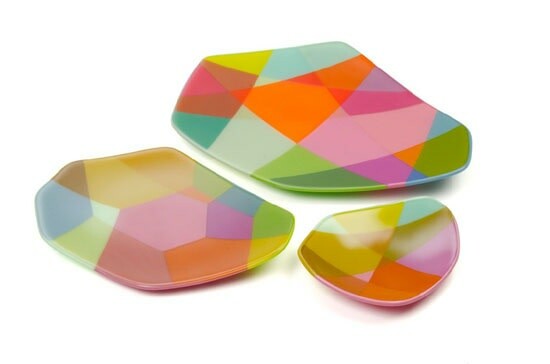 During a 2015 residency at Bullseye Glass Company's factory studio in Portland, Penttinen experimented with Bullseye's extensive color palette to create sets of platters in two colorways. Produced locally by Bullseye Studio. Platters available for sale individually. Please contact Bullseye Projects for pricing.